If you have a preference for one type of approach over another, that’s fine with us - at Agilaflex you are able to receive top quality assessment and care with the practitioner of your choice. What matters to us is that you have that choice. Rather than promoting an individual approach, we offer total professional care for your back, neck and joints. You may have a pain you are unsure about. A question about treatment. Or need advice on how to get on with your day to day activities. Ask one of our experts. Phil is a chartered and HCPC registered physiotherapist. After gaining a BSc (Hons) degree in physiotherapy in 2008 from UWE, Bristol he worked as a rotational physiotherapist in the NHS, covering musculoskeletal outpatients, orthopaedics and rehabilitation. This gave him broad experience in a multitude of conditions. On promotion to senior physiotherapist he worked at the Nuffield Orthopaedic Centre, Oxford as a clinical specialist in the musculoskeletal triage service. This involved assessing complex patients and determining their optimal clinical pathway and treatment. He also helped run classes for patients with chronic back pain through a combination of exercise, education and liaising with other health professionals and doctors. Phil has a specialist interest in running related injuries, attending courses with Vivobarefoot and The Running Clinic, Quebec, Canada. He has contributed to articles on hamstring injury prevention in Athletics Weekly magazine and has also contributed to articles on stretching in the major physiotherapy magazine for physiotherapists, Frontline. Philip is a keen sportsman and a Register of Exercise Professionals Level 3 Personal Trainer and is a keen advocate of exercise for health. 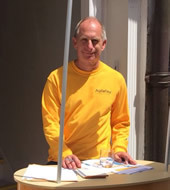 He has been a club runner for over 30 years, winning county medals on road, track and cross country and in 2016 was third man in the ABP Southampton 10K road race. He has advised and coached many athletes, especially runners, to maximise their potential whilst avoiding injury. He also enjoys playing tennis and watching football. Having further trained in Pilates with the Australian Pilates and Physiotherapy Institute he finds Pilates useful for the management of spinal conditions and improving posture, particularly for those who lead a more sedentary lifestyle. 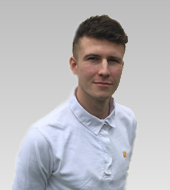 Phil joined Agilaflex in 2016 and is available for new patients with a range of conditions working alongside our team of clinicians to provide the best management to meet your goals as assessed during your first appointment. Agilaflex is in the process of setting up running clinics to provide runners with up to date information on injury prevention and training. Please contact us to express your interest. Kari Duggleby DC BSc hons LCC, Cofounded Agilaflex. 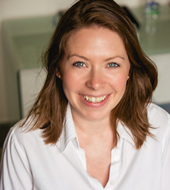 Once graduated, with some experience under her belt in London she quickly learnt that the best management of back, neck and joint pain would be with a team approach. To deliver this she recruited an energetic, highly skilled team and launched Agilaflex to lead the way in results-driven physical health. Kari uses all the typical chiropractic techniques and assessment procedures. On top of that she also uses movement and functional analysis to help give you a better self-management approach to your problem. The aim is to identify the movement dysfunction that caused your pain in the first place and give you specific exercises to self-treat the pain where possible. This aims to keep you up and running and not in the clinic with us. Although Kari has many individual research interests, most of her time is spent leading the team at Agilaflex and getting better results for all those who come to see us with back and neck pain. Having been a member of the International Society of Clinical Rehabilitation Specialists her ambition is to make the performance side of physical therapy more readily available to the weekend warriors and sports hobbyists as well as athletes. Her early career as a junior FEI event rider in Ireland has led to her consulting with Aspire Equestrian Academy on biomechanics and performance of horse riders. Antonia graduated from the Anglo-European College of Chiropractic with a First Class Masters degree. She has a special interest in treating acute neck and back pain and finds herself continually amazed and delighted at how quickly chiropractic care can ease these painful injuries and so improve the quality of life for her patients. 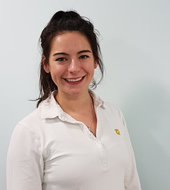 Antonia agrees with the combined working approach at Agilaflex, she believes that it is important to treat the functional cause of the injury instead of chasing the symptoms and so she often incorporates rehabilitative and preventative measures into her treatment plans. Antonia is friendly and warm and we’re confident she will put you at ease when you come for your initial appointment. Living in the New Forest, she has grown up riding horses and going on as many adventures as possible. Sports and fitness have always been important features in Antonia’s life and she enjoys treating sports injuries to help people reach their full potential. From various sporting injuries, she knows first-hand how debilitating an injury can be and how valuable effective treatment is in speeding the recovery process! By incorporating the most up-to date and high-quality research into our treatment plans, chiropractors are at the forefront of our profession in treating and managing intricate complaints. Why not come for a consultation with Antonia and see if your complaint can be treated. I started my career in massage through completing level 3 in Sport and Exercise Sciences which included Nutrition, Sport and Exercise Physiology and Psychology. I then achieved my level 3 in VCTC Massage therapy. I also completed my level 2 CYQ which included Anatomy and Physiology for Exercise, Health and Safety in a sports environment, and knowing how to support clients who take part in exercise and physical activity QCF. Although I intended to go down the Physiotherapy route, my training helped me gain experience and confidence and introduced me to massage and the benefits that can be gained, particularly when working at Agilaflex within an interdisciplinary team. From then on, I have not looked back. My training was extremely extensive as it covered all areas for example a deep tissue massage which is very like a Swedish massage, however the deeper pressure is beneficial in releasing chronic muscle tissue. The focus in a deep tissue massage is on the deepest layers of muscle tissue, tendons and fascia. Or, a Sports Massage, which is traditionally geared towards athletes. The particulars of sports massage technique can be specified to the athlete’s sport of choice. Focussing on areas of the body that are overused and stressed from repetitive and often aggressive movements. Both styles of massage allows me to use techniques to give a pain free approach when relieving symptoms. My passion in life is Football, I started playing for Bashley FC at the age of 6 and have been in and out of teams ever since. When growing up surrounded by athletes I have come across and seen many injuries in which I have always tried to help them recover. With this in mind through studying, I also completed my FA Football Level 3 Coaching course which helped me greatly as I achieved my First Aid Certificate, my coaching badges which I use when coaching my local football team AFC Bishopstoke, providing them with training sessions throughout the week and also pitch side support in massage on match days. This is a great privilege as this allowed me to help my team mates and gain more experience while treating sports injuries on current athletes. I have always been very social, I consider myself to be a people person and I enjoy helping others, especially through massage as it is something I am passionate about. Although I am aware massage cannot fix every problem. Aches, pains, and injures can affect anyone, from the office worker to a professional sports athlete. We can all feel discomfort time to time be it from a slow walk down to the local shop when picking up the daily paper to running the London marathon. Although Sports Massage is a form of body work geared towards participants in sport, it can also be used to help prevent injuries, to prepare the body for activity and maintain it in an optimal condition and to help athletes recover from workouts and injuries. When the right approach is applied it can go a long way both physically and mentally for everyone.